Oklahoma became a state November 16, 1907, the 46th state admitted to the Union. The land that is now Oklahoma City was nothing but barren prairie on the morning of April 22, 1889. By nightfall the population numbered 10,000. No place has ever been settled faster than this one, during the famous land run when the territory was opened for settlement. 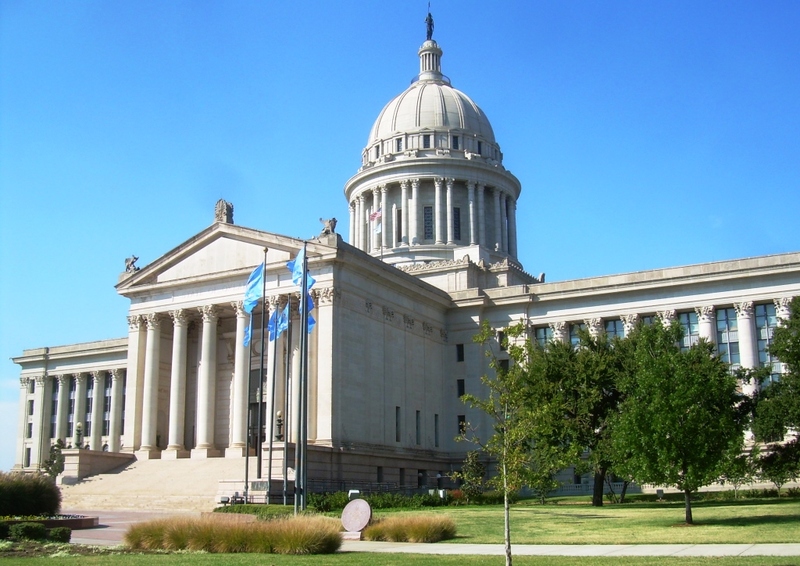 Oklahoma City is the only state capitol with an oil well on the grounds. It pumped oil from 1941-1986 and today is preserved as a monument. The city sits on top of one of the nation’s largest oilfields and oil-well equipment is manufactured here. One of the world’s largest cattle markets, Oklahoma National Stockyards, is here too. So is the National Cowboy Hall of Fame and the National Softball Hall of Fame. Annual events: International Finals Rodeo, World Championship Quarter Horse Show, and Red Earth, a native American dance competition and arts festival. The wide open spaces, and the wind; the rush of a land-rush way of life; the mix of native tribes and cowboys and a highrise urban scene; the shading trees and winding canals added by planners, though nature didn’t think of it. Mountains near: Sandstone Hills. Black Mesa, on the western border of the panhandle, is the highest point in Oklahoma at 4,973 feet.